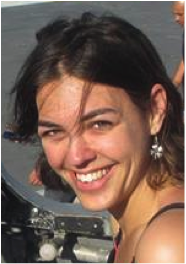 I grew up in the UK, and have worked around the world: teaching in Borneo, Paraguay, Czech Republic, Crimea and the UK, training in the United States, Canada, Thailand, Spain, Italy, Kazakhstan, and Malta plus other work in France and Germany. I am currently the Director of Studies at International House Bydgoszcz in Poland. I am passionate about teaching, and am constantly trying to develop professionally. To that end, I am a member of twitter (@sandymillin) where I follow many interesting educators who constantly provide useful tips – highly recommended. I have attended local conferences in the Czech Republic, Slovakia, Poland and the UK, and international conferences including TESOL France (2011) and Innovate ELT (2016), where I particularly enjoy presenting. 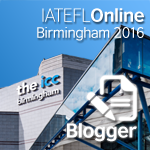 I am a member of IATEFL and have attended all of their annual conferences since 2012. 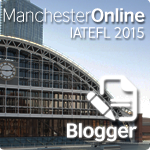 I am also on the IATEFL Membership and Marketing Committee, and curate the IATEFL blog. From 2008 to 2011 I worked at International House Brno as an EFL teacher September-June and for Kaplan / WELS International Centres (formerly owned by IH) at their Ardingly Centre in the UK for a few weeks each July and August. I was at International House Newcastle July 2011-August 2013, and moved to International House Sevastopol in September 2013. I stayed there until my visa ran out in August 2014, then worked as a CELTA tutor in Leeds, San Diego and Vancouver, Chiang Mai, Palma de Mallorca, Barcelona and Sevastopol, before starting as Director of Studies at IH Bydgoszcz. As well as CELTA tutoring and working as a DoS, I also do some materials writing, and have published an ebook of speaking activities through the round, which is called Richer Speaking. In my free time, I enjoy reading, Bookcrossing (@sandyundead), Postcrossing, listening to podcasts, films and travelling. I also like taking photographs, and am one of the curators for eltpics, a photo-sharing initiative for teachers. However, my main addiction is learning languages. In addition to English, I currently speak French, German, Spanish (all around C1) and my Polish is around B1. I know a very little Modern Greek, Bahasa Malay, Thai and Mandarin, and have forgotten most of my Czech and Russian, thanks to Polish. Please note: all views expressed on this blog are my own. Can’t believe it’s taken me until today to discover your blog. It’s fabulous! I love it 🙂 Thank you! Glad you like it 🙂 Most posts only take about fifteen to twenty minutes to write. If it’s longer, then I write when I have time! Don’t think I’ll be writing much this week though! I work for an education technology start-up in London, and our team regularly visit your blog for thought-leadership. 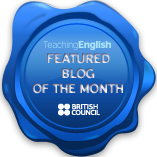 I found your post on ‘Useful FCE Websites’ particularly interesting as it provides a great insight in to the technology resources that an EFL teacher uses to help her students revise. Thank you very much for telling me about Wordia. I hadn’t heard of it before. I’ve just been over to the site and had a look. Visually, it’s very impressive. Even as a touch-typing adult, I found the Space Exploration game very challenging, though that could motivate the kids to try to get better, which is definitely a good thing. The word muddle algorithm needs a little work, since my first board had no vowels at all, so I couldn’t make any words! But I was motivated enough to go back and try again. I had a go at creating a game, which seemed pretty easy. It would be great to have English as two categories – one for native speakers and one for EFL/ESL/ELL students. Thanks for letting me know about the site. I look forward to seeing how it develops. Looks like you have a real passion for languages and teaching! First of all, I wanted to thank you for your wonderful blog! It is *such* a cool place for teachers and learners! All your work is much appreciated. Especially your activities, articles and resources. It helped with some great ideas for my classroom. My name is Heidi and I’m one of the teachers behind www-really-learn-english.com. We focus on creating stories and exercises to practice specific vocabulary and grammar topics. We have just released our latest mega-resource, and your readers can now take full advantage of it! Would love to know your thoughts about it! My name is Laila Khairat and I am currently teaching very young learners at a public school. From next year on, I will be pursuing my real dream which is teaching abroad, in as many countries as possible, getting to know other cultures and other languages. Just wanted to say that your blog is deeply inspiring to me and your career path makes my dream seem much more realistic. Thanks a lot for such a lovely message Laila. Good luck with achieving your dreams! As I see from your blog, you study Russian here. Well, I’m a native speaker of Russian. And I also speak English and Greek (MA in English and Greek philology). 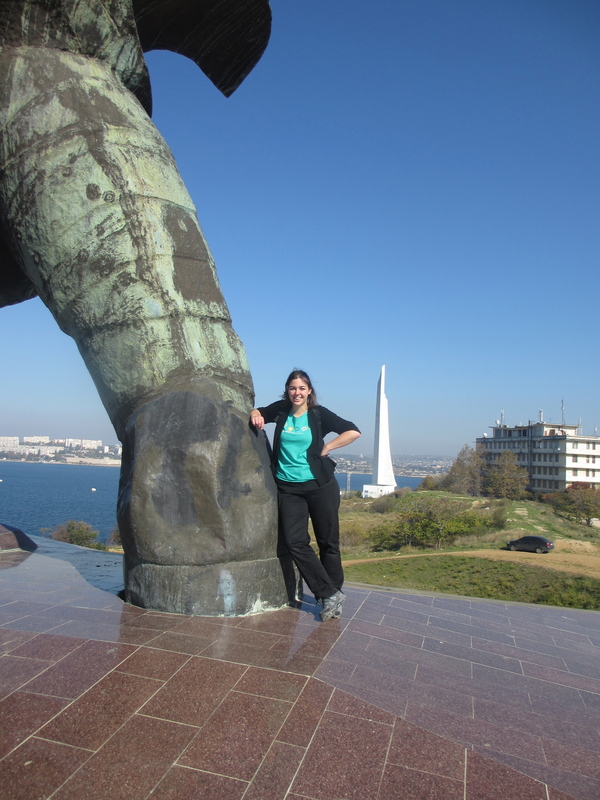 So, I highly appreciate the opportunity to meet you and practice Russian, English and Greek languages! Welcome to follow me back in Twitter. Thanks for the message. I’d be interested to know more about the site you work for – can you send me a link? What kind of articles do you write? I’m learning Russian with a local teacher from Sevastopol, and I studied a tiny, tiny bit of Greek before 🙂 I haven’t been to Simferopol yet, but hope to at some point, and if you come to Sevastopol, it would be great to meet up. Hello Sandy.I’m English Teacher at a primary secondary school in Turkey.I watched your video today.I think you are very successful teacher.I will follow your lessons.They are very useful.Thank you !!! Could you advise me for my students?They don’t want to learn English.They think English is very a difficult language. They are bored.What should I do? Thanks for the comment. I’m glad you found the video useful. I think the best way to help your students is to find out more about them and what they’re interested in, and try to adapt your lessons to that if you can. How old are they? What are their hobbies? It’s also worth talking to them and asking them what they think about how to make the lessons more interesting. Do they know why they’re learning English? Or do they think it’s just another subject that they have to do. Finally, I’d recommend following the ‘Teaching English British Council’ facebook page – there are lots of interesting teaching ideas posted on there all the time, as well as discussions about many different aspects of teaching. Hi!! First of all thank you so much.My students at the age of 8 and 10 love English but the students at the age of 11-12.. don’t like English.They hate writing , they don’t like learning vocabulary etc…I follow ‘Teaching English British Council’ facebook page .I sometimes practice Teaching Ideas .Well , good bye !!!! Thanks !!!! Enjoyed reading your recent blog about the changes going on. My family is there now and it has been very interesting hearing about things. I will be heading there next month. I am a little sad that the situation seemed to push Crimea to Russia but I understand why it happened and what was not discussed in our media here. Hey, the banking situation is really difficult there. You or your students would not happen to know where/if there is a moneygram or Western Union still operating in Sevastopol? I am trying to get money to family but they are having trouble finding out where it may be possible. Thanks for your message. As far as I know, neither moneygram nor Western Union are operating here at the moment. My friend got a WU transfer which she now can’t collect. I’m afraid that doesn’t doesn’t really help. I hope you manage to find something. Good luck! What a dedicated teacher you are. I’ve just read the series about the incredibly gorgeous M.
Thank you Mark! 🙂 For anyone else who’s interested, it’s the ‘Rethinking the Visual’ category on my blog. Hello there. Thanks for the invaluable tips on DELTA. I’m gonna take Module 1 and 3 but cannot afford the fees. Let’s put it this way: I can afford it, but it would be difficult for me to manage to pay for that. Do you recommend taking online preparation courses for DELTA module 1 and 3? How are these online preparation courses held? I searched for that, but there seems to be no demo available. There are online preparation courses through a variety of organisations, the most famous being Distance Delta, Bell and the International House Online Teaching Training Institute (OTTI). Each runs the courses in a different way, and modules 1 and 3 differ because of what they require. Module 1 consists of exam training, with lots of past papers. I studied through Distance Delta, but didn’t take the exam the first time round, then studied to do it myself six months later. The grounding I got on DD gave me the confidence to do that, as they helped me to see exactly what the examiners are looking for. There’s a very specific way of answering the questions, and the feedback I got from my tutors helped me to see where I was going wrong. I think it’s possible to study for the exam by yourself and I know a few people who have done this successfully, but having a tutor to give feedback definitely helps. For Module 3, the 4500-word course proposal (not an exam), I would highly recommend having a tutor. The requirements are very specific, and I don’t know anyone who’s managed to successfully pass Module 3 on their own. The DD course meant we had deadlines spread over a period of time, with feedback throughout the course on whether we were heading in the right direction. It’s a huge piece of work (I probably spent well over 200 hours on the whole thing, at a conservative estimate), and you really don’t want to get to the end and discover you’ve done completely the wrong thing. In the end, not having a tutor may well be a false economy, as you’ll probably end up paying the Cambridge fees twice over. I’m afraid I’ve been asked not to share my assignments as there have been plagiarism issues. I hope you manage to find something useful. Nice to meet you on Web. So, I´m English-Language Learner and you site is amazing! Congratulations! If you wish to talk Brazilian Portuguese, please tell me, it will a pleasure for me. In 2016, I will start one challange: learn Russian! Probably I will do it because in 2018 we´ve have WorldCup in Russian. I’ve just been reading your blog posts on the ‘Diary of a beginner’. I have just started one to one tutoring with a South Korean lady and am very out of practice, your blog posts have been incredibly useful thank you very much! I was just wondering if you have any further posts past the 7th lesson? I don’t, unfortunately, but there are some other beginner posts from a class I taught with mostly Chinese students. Put ‘beginner’ in the blog search box and you should hopefully find them. Happy to try and answer questions too. Good luck! I am considering doing the Delta and more specifically starting with the module 2 teaching practice element prior to doing the more academic based module 1 and 3. To give you some background, I already have a CELTA and a year of teaching experience at an academy in Spain though that was 6 years ago. Last year I began a PGCE (Spanish and French) Secondary at a UK university but I pulled out after around 3 months; on the positive side I did gain a couple of weeks of classroom experience and also the benefit of absorbing a month of intense teaching of language theory. My question is whether it is wise for me to attempt module 2 without doing module 1 and with about a 3 weeks of reading preparation before hand? Any advice you can give will be most appreciated. I think it depends entirely on you. I know some people do module 2 first, before module 1, and the fact that you’ll have time to read will help a little. You need to bear in mind that it’s a very intensive course, and it does pull your teaching apart completely, although you benefit from that in the long run. If you’re teaching experience was 6 years ago, I would recommend doing at least a couple more years of teaching now before you attempt the Delta – the more experience you can draw on, the better. When you’re looking for work now, try to find a school where professional development is important, and let them know that you’re interested in Delta. If it’s a good school, they should be able to help you move towards the Delta and feel more prepared when you get there. I discovered your blog just a couple of months ago and it’s already become an essential part of my daily reading list. Congratulations for your excellent insights into teaching, from where I draw tons of ideas to use in my classes. I wanted to ask you a bit about the Advance Methodology course from the IH. I have been considering taking it to upgrade my teaching skills a bit further. 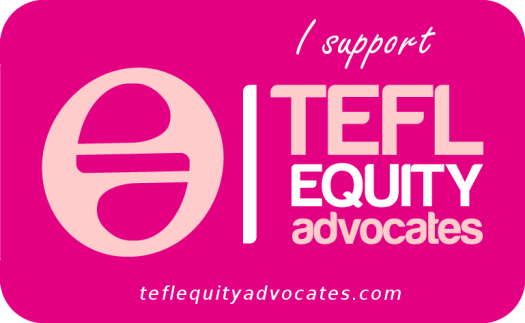 I am a graduate in English Philology, with a Masters Degree in Teaching English as a Foreing Language, and I also own the CertIBET certificate which I got from The Consultants-e. I’m looking into setting my foot into materials writing and research in ELT. So in the long turn, I would like to start a PhD program, but meanwhile, do you think that it would be worth it to take the CAM course? Where you satisfied with it? Thank you very much for this comment – it’s made my day! It sounds like you already have a lot of qualifications, but I don’t think you have a Delta or equivalent, right? CAM is a kind of pre-Delta certificate, encouraging you to reflect on your teaching practice. I think it’s a useful certificate to do because it is a good overview of general English teaching methodology and could be a good reminder depending on when you did your other courses. Having said that, I did it four years ago, and it’s been updated since then. It’s now accredited by Cambridge so the requirements are stricter than when I did it. 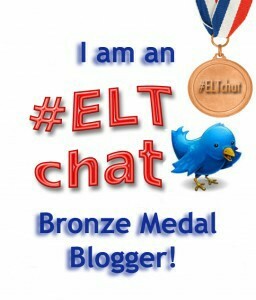 If you’re interested in Materials Writing, I’d also recommend taking a look at the IATEFL MAWSIG blog and the ELT Teacher2Writer website, both of which have useful resources for potential materials writers. Thank YOU for taking the time to reply, Sandy! 🙂 The thing is that I’m not that keen on taking the Delta (though I have not discarded it altogether), and the CAM course seemed like a good way to refresh some concepts I did in the MA (2-3 years ago) as well as to reflect on my own teaching practice. Anyway, you left me plenty of things to take a look at and mull over. I’ll be taking a look at both websites, that’s for sure! Thanks a million, Sandy. I think I know one person who’s done it, so have asked them to reply to this comment. I’m glad you’re finding the blog useful. Good luck! Sorry I am leaving you a message on your blog about a webinar that you are going to lead this coming Thursday with the British Council “Blogging for professional development”. I was/am really looking forward to it, I registered on the website of the even, but unfortunately and due to some unforseen issues I will not be able to attend. I searched on the web and on the british council website and I couldn’t find the way to unregister from it. I hope that you get this message before the event. I am sure it is going to be a very interesting one, and rest assure I will watch the replay of it when it becomes available. I must say, thanks to this I have bumped into your blog. It is very interesting and full of useful resources. Thank you for such a lovely message Magdalena and for letting me know. I hope you find the recording useful. Sandy, I’m so happy I found your blog. I’ve been teaching ESL for 6 years and have just completed my CELTA, getting ready to move to Ireland to start a new job in September. I really appreciated the tips you gave for teaching FIRST including the flo joe website which I had never heard of. I’ve taught PET before but First is a different kettle of fish especially the dreaded USE OF ENGLISH. I think I will be checking in often! Thanks for the comment Frankie. I’m glad you find it useful. Good luck with teaching First – it can be very rewarding. Good luck with the new job in Ireland too! Thanks for your wonderful blog – it’s really inspiring me to work on mine! I spent four years working for IH Moscow and am now at IH Prague, so I see some similarities in my own experiences. Thanks for your message. It’s always good to hear from the readers 🙂 I wrote this post for ETpedia which might answer some of your questions: https://sandymillin.wordpress.com/2015/06/30/10-tips-to-help-you-become-a-teacher-trainer/ I’m also happy to answer other questions if I can, especially because one of the ways I’ve got to where I am now is through my blog and the support network I’ve built up on Twitter and facebook. Good luck with getting to where you want to be! Looking through your blog it looks like you occasionally use computers in the classroom. I thought you might like Learnclick.com. Learnclick is a site for creating online quizzes and is especially suited for language teachers as it’s tailored towards asking questions in context (like gap-filling exercises). Thank you for the link, but I’m afraid I don’t tend to use paid services as I’d have to pay for it all myself. I’ll leave the link here for others in case they’re interested though. Hi Sandy, your website looks great. I completed the CELTA course in 2015 and I now have 18 months experience teaching. I really enjoy teaching young learners and very young learners. If I want to specialise in this area how could I do that? As far as I am aware the DELTA similar to the CELTA is focused on adults. Would you recommend that I do the DELTA in a year or so even if I want to focus on teaching YL and VYL. I would like to see myself many years from now being a director of studies for a school that focuses on VYL and YL. How could I progress professionally to try and achieve this target? what route should I take? I’m not quite sure what I can do to help other than wish you luck. It’s worth going back to your previous observations and trying to analyse what happened. As far as I know you can also contact Cambridge and ask for feedback on your LSA4, although you have to pay for it. That could give you more information about the areas you need to focus on in your final observation. Good luck! I am in maldives and holding Tanzanian citizenship . I’m afraid that there isn’t one best campus to do CELTA. All courses are moderated, so the standard should be the same wherever you are. It’s also important that you can fill in all of the forms yourself, and that you have at least a C1 level of English on the CEFR scale to be able to complete the course, as it is very challenging and a high standard of language is needed. It is tough, but worth it if you meet the criteria for entry. Good luck! I work at Cambridge English. I came across your blog and twitter whilst researching outreach methods for our new website, The Digital Teacher. The website encourages English language teachers to incorporate technology into teaching by providing resources and tips. We’d be thrilled if you could write something about The Digital Teacher on your blog. Please take a look at the website and get back to me if you have any questions. I only tend to write about resources which I have come across myself and found to be useful. I may do this if I can find a direct link to your site, but at the moment there is not one in your message. How do teachers find it? The web address is https://thedigitalteacher.com/. There are links to it from Cambridge English Language Assessment’s Website. My name is Beth Trout and I wanted to write to you in order to let you know about my Phrasal Verbs Mobile App called Phrase It Up launched by my company Teacher Trout LLC. This app not only allows ESL students to review common phrasal verbs and mark the ones they need more practice with, but it also features a unique card game, invented by myself. The rules are simple: match as many phrasal verbs to their definitions as possible and steal phrasal verbs from other players’ banks when you have another of its definitions in your hand in order to earn points so that you can win the game. Please visit my web page: Teachertrout.com in order to learn more and watch a tutorial video (I am working on figuring out why the audio is not working on the video, but you can still follow a normal game so that you can see how it functions). The web page will link you to the App Store where the game came be purchased, or you can click here: https://itunes.apple.com/app/id1354457671 . Please let me know if you would like to try and review the game yourself and I will send you a code to get it for free. If you have any questions about the app or any of my other games, please do not hesitate to contact me at Teachertrout2011@gmail.com. Thanks for all your tips they really are very useful. I like the sentence transformation game on quizlet. Could you tell me which program you used to the game so that you can decide when to show the answer. I tried to do it in powerpoint but can only get it to show the answer immediately after the question. I like to use it as a test so I only give the answers after about 6 sentences or if I use it as a game I give it immediately. Sometimes I don’t have internet where I teach so it’s a problem that I can’t download it. I’m not sure I understand which game you’re talking about. Can you send me a link? 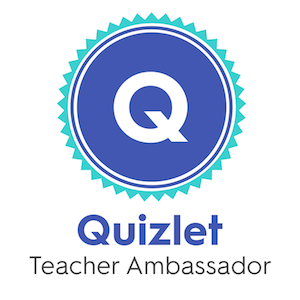 Do you have the Quizlet app on your phone? If you do, then you can sets it offline as long as you have already played it online once.